Have you ever wondered what it is like to live with an “orphan” disease like cystinosis? It is difficult but it is an amazing journey. The following information will help you understand what a person living with cystinosis must go through while growing up. Cystinosis is a rare disease that primarily affects children. It is a rare genetic disorder in which continuous cellular accumulation of the amino acid cystine rises to toxic levels, resulting in irreversible tissue and organ damage if left untreated even for a short time. Cystine crystals accumulate in the kidneys, eyes, liver, muscles, pancreas, thyroid, brain, and white blood cells. Without treatments, children with the disorder develop end stage kidney failure at approximately age nine. High intake of fluids and electrolytes to prevent excessive loss of water from the body. Sodium bicarbonate, sodium citrate, and potassium citrate may be administered to maintain the normal electrolyte balance. Phosphates and vitamin D are required to correct the impaired uptake of phosphate into the kidneys and to prevent rickets. The disease first affects the kidneys and it is a primary concern to ensure they last as long as possible. The kidneys are fist-sized organs, shaped like beans. They act as filters to clean waste (what’s left over from breaking down from food and your body’s other activities) from the blood. In addition to removing wastes from the bloodstream, the kidneys also make and regulate hormones and chemicals in the body. When the kidneys are not working correctly, the body can develop several problems, including: fatigue, bone problems, sleep problems, and anemia. Dialysis may be needed if a donor kidney is not available, or if a kidney transplant fails. Dialysis serves as an artificial filtering system that mimics a person’s kidneys by removing waste from the blood. Cystinosis patients (we) are now living longer lives because of the new treatments and advancements in medicine. Living longer means that cystinosis patients must transition from pediatric care to adult care. As a patient myself this is excellent news because we had have only a 20 year life span, now we have a 50 year life span. Once they become adolescents they must learn about treatment options, know their medications and side effects from those medications. 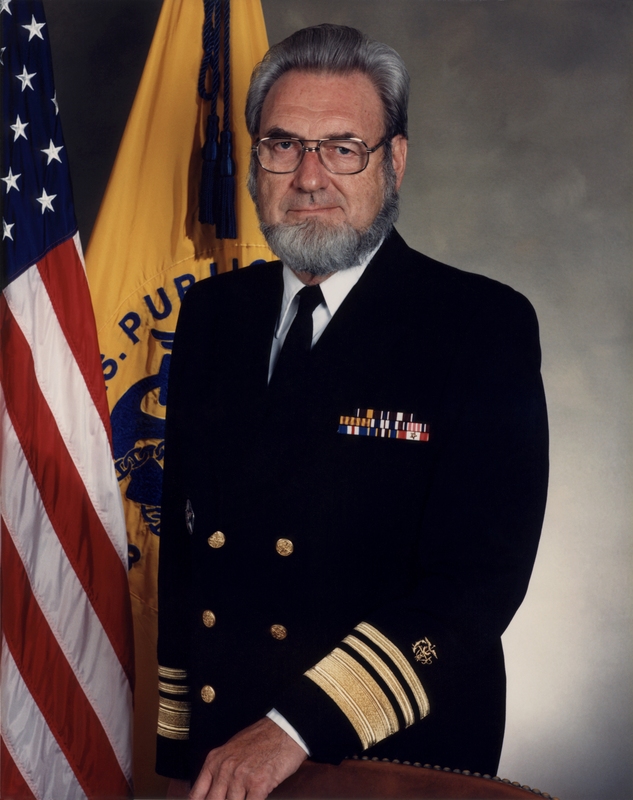 This period is known as “transitioning,” which was inspired by Surgeon General C. Everett Koop. He described it as the “one major issue” for chronically ill adolescents that had not been adequately addressed by the healthcare system. Comorbidities such as gastrointestinal complications with possible swallowing problems. The transition process that Koop spoke about is broken down into three stages by their age. Early adolescence (12-15), late adolescence (15-18), and young and “emerging” adults (19-25). Cystinosis patients (we) have the unique role of being their own advocates, and at this age they should learn how to self-advocate. Advocating for themselves will be crucial as they face many circumstances where they need to stand up for themselves in the healthcare field and in general. Parents should encourage children to practice self-advocacy while still supporting them in their decisions. Often children and young adults with chronic illnesses may be hidden victims of bullying. Navigating the school system can be difficult living with cystinosis, and communication is key for parents and patients. Parents should get to know key individuals – including a child’s principal, guidance counselor, nurse, psychologist, social worker, AND ALL teachers (including those who teach special classes like art and physical education) as the school year begins. Parents should provide the school with packet of information about cystinosis. Honesty is the best policy. Not sharing information does not allow understanding, and can create problems. Encourage school staff to ask questions. Urge them to ask questions, both academic and medical. Cystinosis patients (we) are constantly faced with difficult situations, therefore young patients need to build a self-confidence. Building self-confidence is imperative for them. Having a self-confidence can help patients think positively and deal better with the daily stresses of having cystinosis. Recognize their child for doing a good deed, doing well at school, or completing a goal. During transition, these young patients should spend a few minutes talking privately with their healthcare team at the beginning or end of each visit. This can help them feel more in control of their life and the cystinosis. They should start siting in (or picking up the phone) when their parents are making medical appointments or calling for prescription refills. At what age does transition happen at this hospital? Are there teen- or young adult- specific clinics? Who will help coordinate the transition? Do you have adult specialists that you recommend? Why do you recommend them over others? How will we meet them? Are there adult physicians/specialists who are knowledgeable about cystinosis? Cystinosis patients face a unique set of stressors. The disease can interfere with the patient’s comfort in moving toward independence and their parents may be resistant to a patient’s efforts to become independent. In these situations the parent’s job is to provide information and resources to help adolescents think and live as independent adults. One difficult, however necessary job of the parent is to seek a balance between “normal” adolescence and the unique healthcare needs that cystinosis patients (we) face. Parents should start involving their teens in all health-related discussions (treatment choices and current concerns about their illness). Work together, the patient and parent to teach self-care skills related to the patient’s illness (from medications to calling the pharmacy or scheduling doctor’s appointments). Work on the development of coping skills to address problems or concerns that may arise related cystinosis. Medications are vital to cystinosis patients (our) survival. 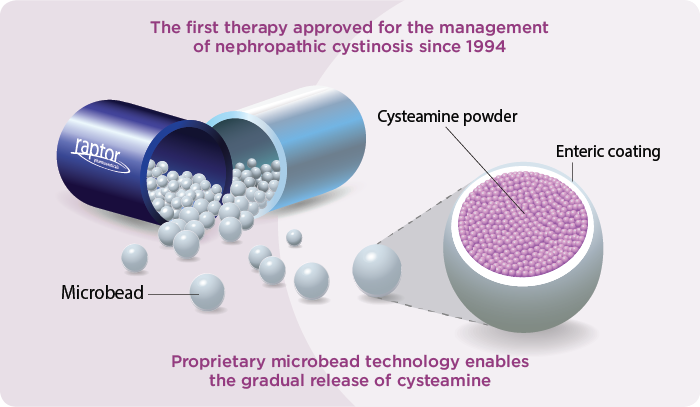 If they miss a dose of cysteamine or anti-rejection drugs, it could damage their health. 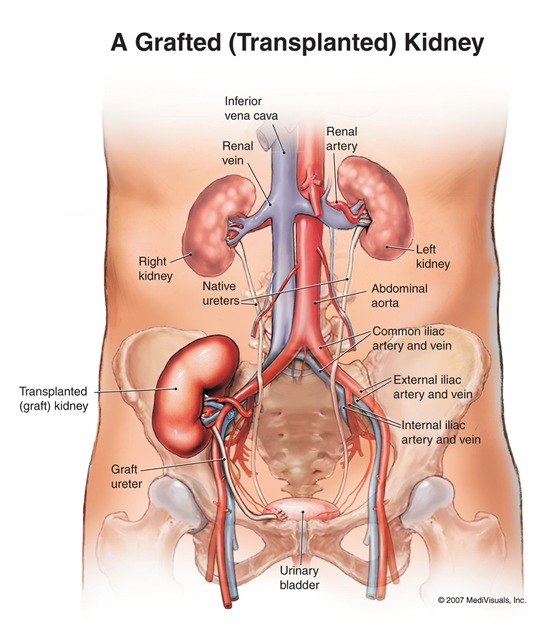 Over time this can lead to the progression of the disease and rejection of the transplanted kidney. The patients need to speak honestly with their parents or their healthcare team if there is a problem with taking medications – whether because of side effects, a busy schedule, or sheer frustration. There may be options that could make things easier. Parents need to understand that their teen will be taking many medications, to control cystinosis and to protect a kidney transplant. If a cystinosis patient illness reaches an unstable state due to “nonadherence with treatment recommendations,” parents and healthcare teams should aim for discussion of what’s happening rather than arguing or punishment. The parent and healthcare team should decrease their frustration and replace it with support. Both the parent and the healthcare team should be honest about the results of not adhering to medication schedules, but avoid scare tactics. Communication is vital between the parent and patient. Talk about what the nonadherence is really about – taking medications can be a burden, it may interfere with social activities, the side effects may be too troublesome, etc. Parents should know that not taking medications can also be a way of “acting out,” which other teens might express with skipping school, using drugs or alcohol. This can be a way of expressing rebellion or a way of trying to feel in control. 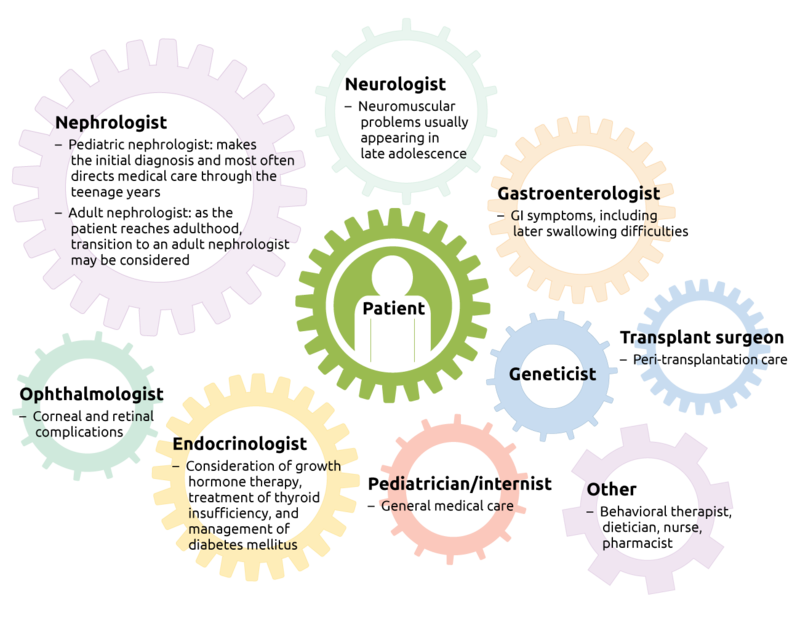 The parent and patient must work together as a family and with the healthcare professionals to find a treatment plan that works for the young patient. Cystinosis patients (we) must learn coping skills to deal with the side effects of Cystagon or Procysbi. These patients (us) cannot stop taking these medications. 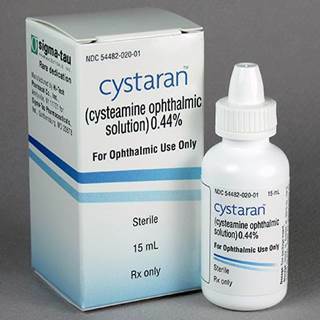 Cysteamine bitartrate is the lifeline for individuals with cystinosis. 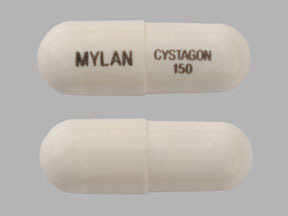 Cystinosis patients may often feel many side effects from their medications, especially the cysteamine bitartrate. As these patients reach adolescence and young adulthood, it becomes frequently tempting for them (myself included) to skip taking the medication due to the side effects, social concerns, and self-conscious feelings from the drug’s odor, and complications such as gastrointestinal distress. Cysteamine bitartarte is vital, without it , the cystinosis will take its natural course, and more complications of the disease can happen at an accelerated rate. Patients may not be immediately aware of the damage to their health. A pattern of “nonadherence,” or risky health consequences occur. Not taking Cystagon or Procysbi can result in the development of cystine buildup in all organs over time. Not taking immunosuppressants can result in acute rejection of a kidney very quickly, or cause a slow decline in kidney function due to chronic rejection. Sabotaging their health can become a powerful way to get attention or act out. Young cystinosis patients must grow up learning all of the experiences of being a teen while they must learn how to take care of their health. These patients should spend a day or weekend independently preparing and taking medications and eye drops – without parents reminding them. Set up their own medication box for the week. Parents should work with patients to start exploring academic and work interests that they want to pursue after high school. Patients should keep a journal or write when they feel strongly about something. Write an essay about the best and most challenging things they have experienced (which might have nothing to do with cystinosis). Patients should practice and try out different ways to tell “their” story may be useful for college and scholarship applications, or enable them to be an advocate for a cause they care about. As cystinosis patients (we) become adults, they face many new challenges such as: furthering their education, exploring career paths, forming relations, experiencing different living situations, and dealing with car, home, and the big one health insurance. Some call this age group young or “emerging” adults (18-25). 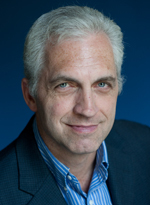 “Emerging” adulthood – coined by researcher Jeffrey Arnett, Professor in the Department of Psychology at Clark University in Massachusetts, which used the term to describe the experience of 18-30 year olds. They are sometimes called millennials. They are unique, because in the United States and Europe, the years were once thought of as a time of settling down, starting jobs, and building families; now it is a time of extended exploration, trying out educational and career paths, traveling, forming relationships, and experiencing individual living situations. Consequently, growing up with cystinosis, young adults usually are eager to become independent and might be anxious about what lies ahead for them. They may also be facing challenges that their friends or healthy family members are not experiencing. The following is a couple quotes by some cystinosis patients. Relationships and dating are even bit more unique for individuals with cystinosis. Just listen to these patients. Adolescents and young adults with cystinosis are faced with a challenge of sexual maturity and reproduction. 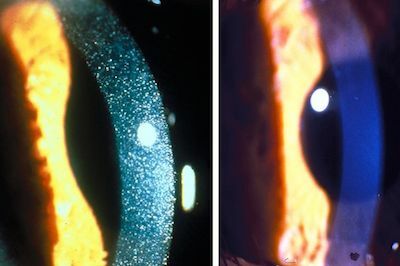 If cystinosis is untreated people nearly always exhibit late sexual maturation (puberty). Cystinotic males reach puberty at about 16-17 years old, and may demonstrate a primary decrease in testosterone (the hormones produced by the testes) due to cystine accumulation in the testes. Poorly treated males exhibit high levels of luteinizing hormone and follicle stimulating hormone (other hormones needed for sexual maturation), as compensation for the low production of testosterone by the testes. Male patients benefits from testosterone supplements to restore secondary sexual characteristics such as facial hair growth, muscle mas, and increase in testicular (testes) size. The ability to have an erection (ability to have sexual life) apparently remains intact, no cystinosis patient is known to have fathered a child. Cystinotic females poorly treated reach puberty at about 14-15 years old. Ovulatory cycles and gonadal endocrine parameters are normal in females, and several successful pregnancies and deliveries have occurred in women with cystinosis; the children have all been completely normal. It is recommended that women with cystinosis withhold cysteamine therapy when trying to conceive or during pregnancy. Currently, there is no data o the teratogenic effects (risk of birth defects) of cysteamine in humans. *Adapted by Mika J. Covington to fit word limit. Cystinosis patients face challenges when it comes to education. They have many doctor’s appointments, lab visits, and sometimes hospitalizations all forcing them to miss school. The Rehabilitation Act of 1973 (Section 504) and the Americans with Disabilities Act of 1990 (Title II) prohibits discrimination based on disability. “Disability” can include “invisible” conditions like cystinosis, and includes more “obvious” disabilities such as vision problems, learning disabilities, difficulty walking, etc. Universities and colleges are required to have an Office for Students with Disabilities (actual names will vary). Cystinosis patients should consider documenting their health condition with their educational institution. However, if the patient doesn’t document their healthy condition ahead of time, their professors and administration will not be required by law to make special exceptions. Additionally, new federal regulations, require insurance offered by universities and colleges to offer the same coverage as commercial plans – such as not imposing limits on lifetime costs or pre-existing conditions. Cystinotic individuals entering and who are in the workforce may experience a variety of issues and concerns. Career choices for young adults with cystinosis should be based on their intellect, ability, interests, and life goals. These individuals (us) are not limited in choice of employment and work in a variety of professional and technical jobs. How should cystinotic individuals handle interviews? First, they should understand all the state and federal laws related to questions that the employer can legally ask (www.ada.gov or www.wwoc.gov). Should an applicant disclose information regarding their cystinosis at the interview? Usually, no. Sharing this information about their cystinosis can put both the interviewee and the employer in a difficult position. The decision to hire should be based primarily on the individual’s ability to perform the tasks of the job. Does the plan cover your prescriptions (anti-rejection, Cystagon, Procysbi)? Are your medications (anti-rejection, Cystagon, Procysbi) on the “formulary” or must they be ordered through as specialty pharmacy? Will you have to pay out-of-pocket for specialty pharmacy orders? Is there a mail-order option? Cystagon, Procysbi, and Cystaran will likely require extra steps. Does the plan permit you to see the providers you already have established relationships with and allow you to be hospitalized at the medical center of your choice ? Section 2714 of the Affordable Care Act of 2010 (ACA aka Obamacare), requires all plans offering dependent coverage to allow individuals up to age 26 to remain on their parent’s health insurance. Section 2301 of the Reconciliation Act of 2010, includes a requirement for existing health insurance plans to provide coverage for adult children up to age 26 and eliminates the requirement that adult children be unmarried. The extension also means that adult children do not have to be in college full-time to maintain under their parent’s coverage. 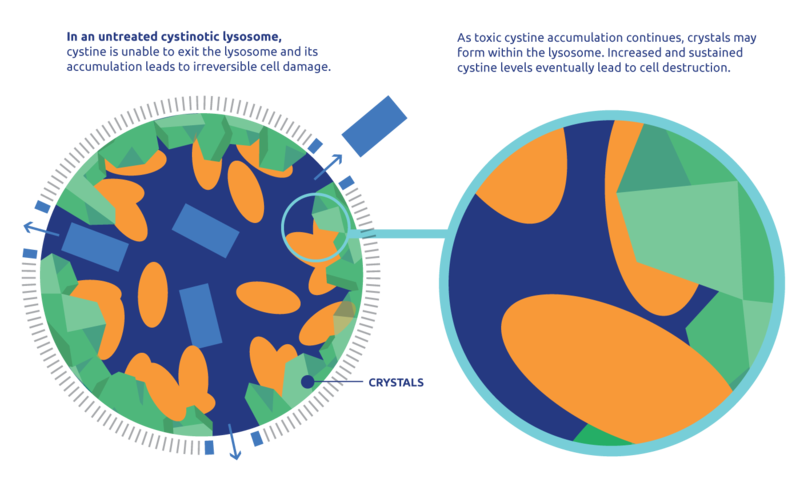 The following is a resource for information is the Commonwealth Fund (www.commonwealth.org). Consolidated Omnibus Budget Reconcilation Act (COBRA) of 1986, allows you to continue your insurance coverage for up to 18 months through your employer if your job is terminated or your hours are reduced (www.cobrainsurance.com). Americans with Disabilities Act (ADA) of 1990, requires that employers to provide reasonable accommodations for individuals with disabilities who can perform the essential functions of the job (www.ada.gov). Ticket to Work and Work Incentives Improvement Act. If you receive Social Security Income or Social Security Disability Benefits, This law may allow them to work and continue some of their insurance benefits. It also has a voucher system, where they can gain rehabilitation and other services to assist them in getting a job (www.ssa.gov). 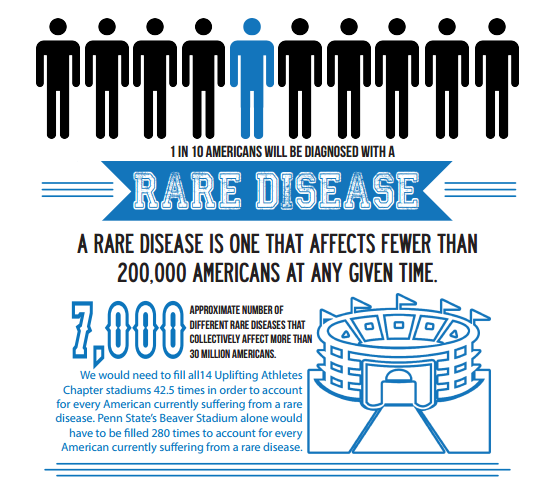 *This blog post is dedicated to all those fighting “orphan” diseases including my sister Mary Covington, who like myself lives with cystinosis. This blog post used information from an amazing resource, “Bridge to the Future,” a transition guide for teens and young adults with cystinosis and their families, created by the Cystinosis Research Network. Additional information used within this blog post came from the website http://www.knowcystinosis.com. I, Mika J. Covington, take no credit for collecting and putting together any of the information herein. However, I, Mika J. Covington, do take credit for the addition of my opinions and summing up some of the information here within this blog post from the sources listed above.